An anthology of powerful essays reflecting on the Black British male experience, collated and edited by Mostly Lit podcast host Derek Owusu. What is the experience of Black men in Britain? With continued conversation around British identity, racism and diversity, there is no better time to explore this question and give Black British men a platform to answer it. 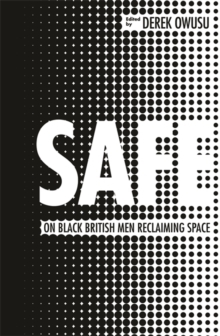 SAFE: On Black British Men Reclaiming Space is that platform. 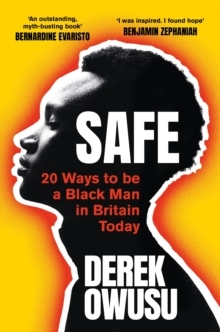 Including essays from top poets, writers, musicians, actors and journalists, this timely and accessible book brings together a selection of powerful reflections exploring the Black British male experience and what it really means to reclaim and hold space in the landscape of our society. Where do Black men belong in school, in the media, in their own families, in the conversation about mental health, in the LGBT community, in grime music - and how can these voices inspire, educate and add to the dialogue of diversity already taking place? Following on from discussions raised by The Good Immigrant and Why I'm No Longer Talking to White People About Race, this collection takes readers on a rich and varied path to confront and question the position of Black men in Britain today, and shines a light on the way forward. Contributors include poet Suli Breaks, award-winning author Alex Wheatle, Channel 4 news reporter Symeon Brown, Guardian journalist Joseph Harker and many more.